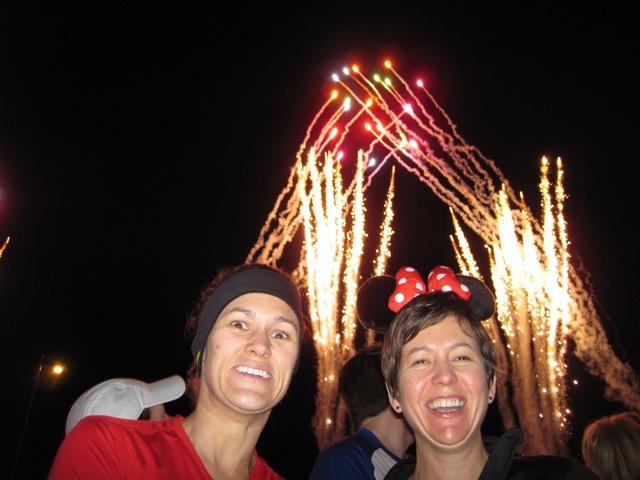 We planned on going to Disney World on Jill’s birthday to run the half marathon and we thought we would go without kids. But its really really hard to go to Disney and not bring the kids, so we asked Grandma to come along with us and help with the kids, especially while we were running. It ended up being a great family trip. On the day of the race, we had to get up really early to get to the race start on time. 4 am, I think. With 28,000 runners, there was a lot of process to go through to get lined up and ready to go. The starting line is the far bright light. About 1/3 mile away. After the race, we had a big brunch in the polynesian. We has a great time and enjoyed hanging out with the Harris’s and the kids got some great time with maw at Disney World. We weren’t there for very long, but it was a nice winter vacation.